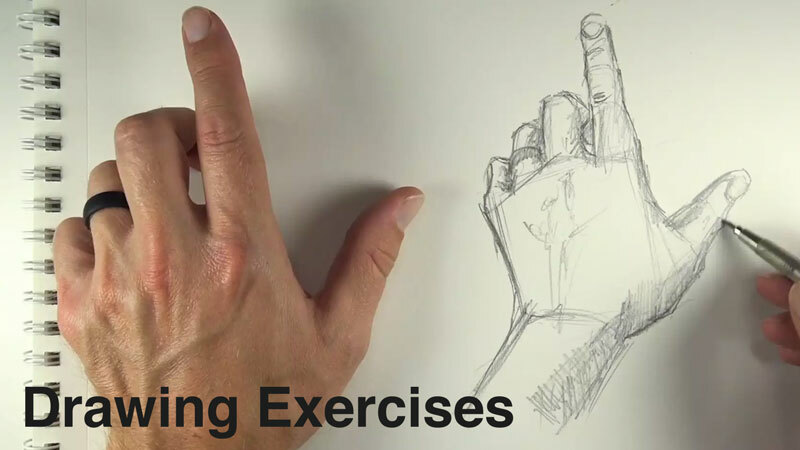 A series of drawing exercises designed to improve drawing skills, observation, and creativity. Blind contour line drawing, gesture drawing, cross contour line drawing, creative challenges, and drawing subjects in motion are all explored in this challenging hour of instruction. These drawing exercises are designed to improve your drawing skills and challenge your creativity. I very much enjoyed these exercises. Just to let you know, the camera is focused on your work, without showing the examples of ie pears, bananas, and moving man. Unsure what it was. Just FYI.